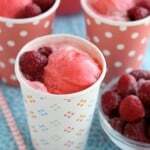 Xanadew FIIZ Copycat - Dessert Now, Dinner Later! 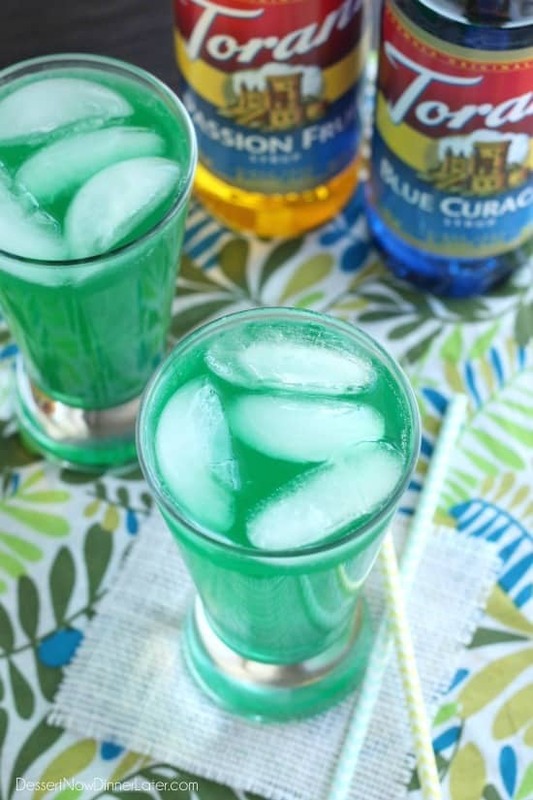 Xanadew – this FIIZ soda shop copycat drink recipe uses blue curacao and passion fruit syrups mixed into Mountain Dew for a fun green tropical mocktail! I don’t know about where you live, but here in Utah, soda shops are all the rage! Our favorite one is called FIIZ and it’s right by my kid’s school, so on double punch Wednesdays, you know we are stopping for drinks! I have tried quite a few of the drink selection offered at FIIZ and they are all pretty dang good, but the one we keep coming back to is called Xanadew. 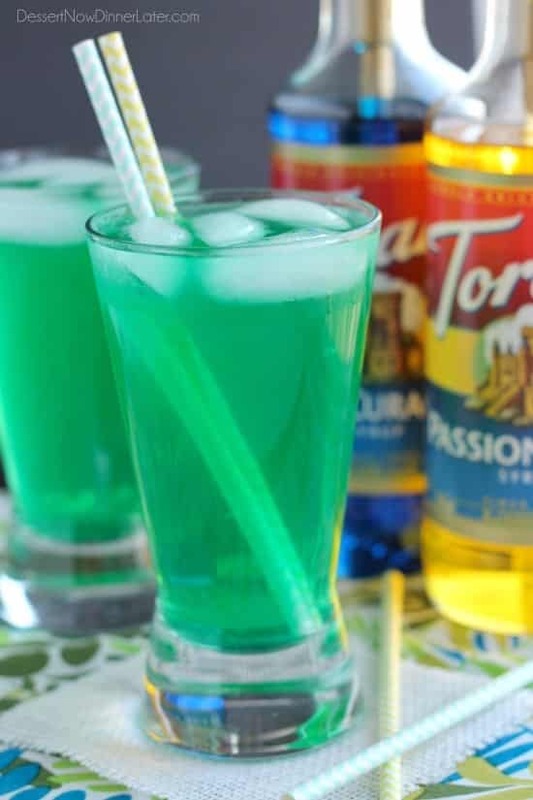 It’s Blue Curacao and Passion Fruit syrups mixed into Mountain Dew. 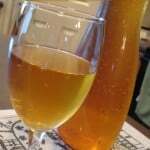 My husband orders it EVERY time we go, so I bought him his own syrups and soda to make it at home, and thought, this is so good, I better share it with my readers! 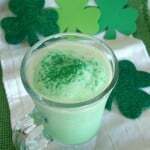 It’s a fun green drink that’s great for the whole family and would be fun for St. Patrick’s Day as well! You can also substitute Mountain Dew with Sprite if you don’t want a caffeinated drink. It tastes just as good! Pump both syrups into the bottom of a tall glass cup. Add ice and slowly pour in soda. Enjoy sipping this drink through a straw! 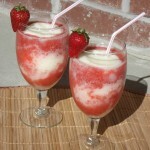 These drinks are so fun and I know my little siblings would adore these! Love love the color! My kids love them, and they are a fun color! For sure! Thanks Sarah! I’ve never had a FIIZ soda shop drink but I bet your version is way better. This one is such a fun color for St Patty’s Day! Oh it’s addicting! Since we have the big bottles of syrup and pumps for them, my kids are constantly asking me for a Xanadew (or Xanasprite). Haha! 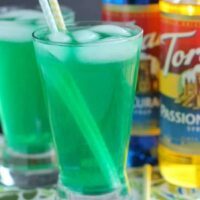 This is such a fun drink for St. Patrick’s Day! I’ve never had one before but it sounds so fun! Thanks Kelly! It’s so unique, and so delicious!